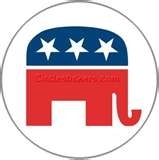 The Seward County Republican Party held a meeting on Tuesday night at the Seward County Administration Building. Chairman Reid Petty opened up the meeting by going over the rules of the convention to replace Congressman-Elect Tim Huelskamp’s state senate seat. Petty stated that convention would take place at the Dodge House Hotel and Convention Center in Dodge City on Monday, December 27 , 2010 at 6:30 p.m. He informed the precinct members who will have a vote for the appointment to bring ID and any proxy votes that they may be carrying for other precinct members who can’t attend. By rules of the convention, each precinct member is allowed to carry up to two proxy votes. Petty said the convention will begin with checking in, roll call, going over the rules, a nomination process, question and answer forum, and then the vote. To become an official candidate for the 38th District Senate seat a person must receive a nomination and a second from the floor at the convention. People who have openly expressed interested in getting the appointment currently are State-Representative Elect Garrett Love of Montezuma, State Representative Melvin Neufeld of Ingalls, and Charles Sellens of Dodge City. Chairman Petty has publicly endorsed Love for the position stating that he is the candidate that would best represent Liberal. At Tuesday’s meeting Petty opened up the floor to members of the public to speak and all who spoke also voiced their support for Love. Ironically enough, Love defeated Neufeld for the 115th State House seat back in August, so if both candidates are nominated on Monday will face off in a re-match. The convention on Monday is open to the general public.